Back to speaking of rehabilitation, Alpha 6 also made medicine (and medical skill) meaningful. Every wound needs to be treated, and any given treatment will vary in quality. Giving your doctors medicine to use on their patients vastly increases the chance of a good outcome, and thereby reduces the chance that whatever harm was done will remain a constant thorn in your side in the future. Medicine, of course, is precious and hard to come by. And from what I’ve been able to see, Alpha 7 has only made medicine even more valuable due to needing it for treating disease, installing prosthetics, and harvesting or transplanting organs. But while a missing foot or hand might now be replaced, there’s still not much that I know you can do when someone regains consciousness with profound brain trauma. Life is harsh, and it turns out that being shot repeatedly in the head is still bad for your health. One thing that I haven’t yet had the chance to learn is whether or not you can harvest organs from the recently deceased. I’d love to be able to make a quick buck off the tragic, untimely, and violent demise of those who have the misfortune to attack my automatic gun emplacements. It isn’t easy, after all, to keep people alive for eventual vivisection when you’re busy throwing lead at them at high speed, and a shortage of corpses is an inherently unreliable state of affairs. Other exciting additions to the game since my last post on the topic include the generation of a world map, complete with the ability to set down your colony wherever you choose. Alpha 7 has made it possible to colonize jungles, with all the stresses which that entails, and has also changed the basic game systems to model all of the world’s “stuff” as a base template effected by whatever material it’s made of. Stone doors, different kinds of leather and cloth, conduit bearing walls made of something other than metal… it’s a small change with far-reaching consequences. But one of the things that has me most excited is the introduction of multiple types of ore and multiple types of rock. It is now possible to mine silver and gold, and your excavations may now be aided or hindered by the type of rock you’ve chosen to dig through. Though I imagine my settlements will eventually regain the rigid lines, organization, and symmetry that I do so love, I look forward to seeing the more organic lines created by digging along the line of least resistance. I can only imagine that this will add additional considerations to my colony site selection, as I try to pick a location that will give me sufficient cover without requiring too many of my colonist-hours to excavate. Ok, actually, there’s another thing which has me indecently excited; the game now has easily accessible stats on nearly every object available for your perusal. You can see how beautiful various types of materials are, you can see how slowly a stone door will open when compared to other types of doors, and also tell how likely it is to catch fire. You can also see the speed at which all of your various colonists will be able to perform their various tasks, and their capabilities with melee and ranged combat. This probably makes me far happier than it should. 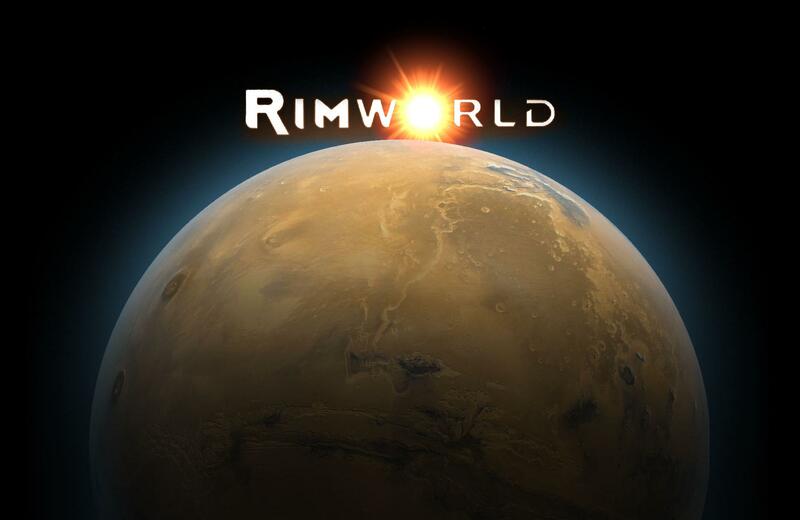 In my first two pieces on Rimworld, I mused on whether or not this game was yet worth its price tag. I still can’t speak to whether or not you want to spend $30 on it, but Ludeon has impressed me with the game’s consistent development and expansion, and the pattern looks set to continue. I’m certainly glad that I have it. The central conceit of having your colony’s travails determined by a storytelling AI intended to create interesting challenges for you is still one that I love, and it’s one that the game has continued to deliver on. Your mileage may vary, but I suspect that if you’re a fan of base building games, management games, simulations of a number of varieties, or even just a fan of the game’s hardscrabble frontier sci-fi fiction background, you’ll like this game too. You can find the game here, and find more information on Ludeon’s game blog. This entry was posted in Game Reviews, Games and tagged Alpha 7, base-building, disease, dwarf fortress, Frontier, Ludeon, management, medicine, organ transplantation, prosthetics, Rimworld, science-fiction, shipwreck, story-generator, strategy, survival. Bookmark the permalink.